The profession of economics has a lot to answer for. Since the late 1970s, the ideas of influential economists have justified policies that have made the world more prone to economic crisis, remarkably less equal, more polluted, and less secure than it might be. How did ideas and policies that have proved to be such an abject failure come to dominate the economic landscape? By critically examining the work of the most famous economists of the neoliberal period including Alan Greenspan, Milton Friedman, and Robert Lucas, Robert Chernomas and Ian Hudson demonstrate that many of those who rose to prominence did so primarily because of their defense of, and contribution to, rising corporate profits, rather thantheir ability to predict or explain economic events. An important and controversial book, The Profit Doctrine exposes the uses and abuses of mainstream economic canons, identifies those responsible, and reaffirms the primacy of political economy. "The financial crisis alerted the public to what some insiders have known for decades: mainstream economic ideas are seriously flawed. Chernomas and Hudson lay bare both the ideas and the equally flawed individuals behind them, from Milton Friedman to the ex-'Maestro', Alan Greenspan." 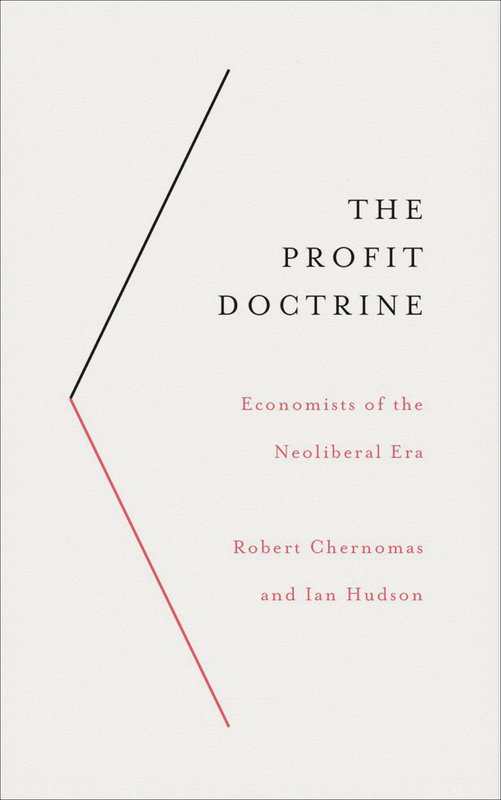 "In lucid and accessible prose, The Profit Doctrine shows how the post-war evolution of economic ideas has systematically favored the profitability of big business over the interests of everyday people. Chernomas and Hudson provide a step-by-step explanation of how highly abstract models and methods have provided intellectual cover for policies that have led both to increasing inequality and to profound economic crises."